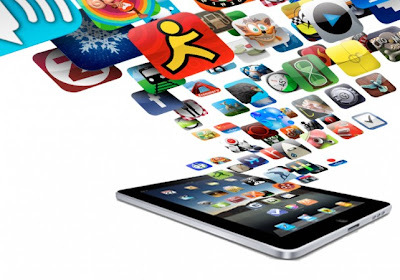 In this post, I will cover Top 30 applications which make iPad a magical device. These applications are specifically designed to use the capabilities of a Tablet compared to a Laptop or desktop. I may be talking more about apps which treat iPad as content consumption device rather than content creation device but it is changing fast with more and more productivity apps available in iTunes stores. Infact as Analysts pointed out during the iPad 2 launch Steve had taken a more aggressive posture inspite of his ill health, to drive the point that he considers it as a content creation device compared to the relaxing posture (sitting in a sofa) he took while launching the original iPad. Again, the following list of applications is my own pick from experience of running more than 250apps for 10 months on my iPad. You may not find your favorite games on the list since I am hardly interested in electronic games and do not have firsthand experience to comment on it. The following applications are specially written for Tablets and will convince anybody that related desktop apps are no match in giving the same user experience. 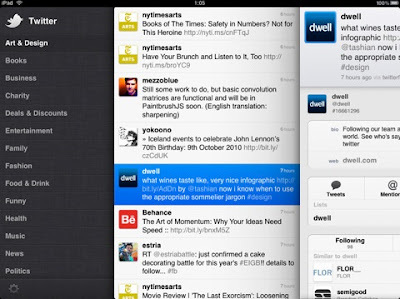 I have not included any apps which come along with iPad, since all of them are excellent, but may be quite familiar. Named Apple's iPad App of the Year and one of TIME's top 50 innovations of 2010, Flipboard is a fast, beautiful way to flip through news, photos and updates your friends are sharing on Facebook, Twitter, Google Reader, Flickr and Instagram. You can see your social media in a magazine layout that is easy to scan and fun to read, share articles and photos, and comment on posts. Customize your Flipboard with sections created from your favorite news, people, blogs and topics. 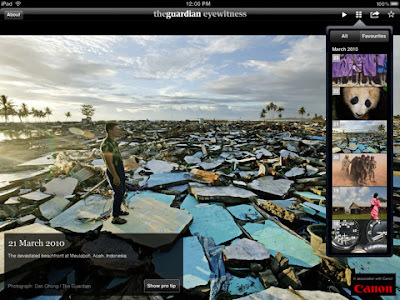 Your Flipboard is everything you care about in one place. It's your magazine. It's your Flipboard. This alone is enough to convince anybody to buy a Tablet. Honorable mention goes to Pulse News which is also great news aggregator. News360 for iPad aggregates more than 1000 different news sources around the web to bring you news stories in a concise and useful stream. The presentation is excellent. This app brings News slide show when you rotate your iPad to Landscape mode. 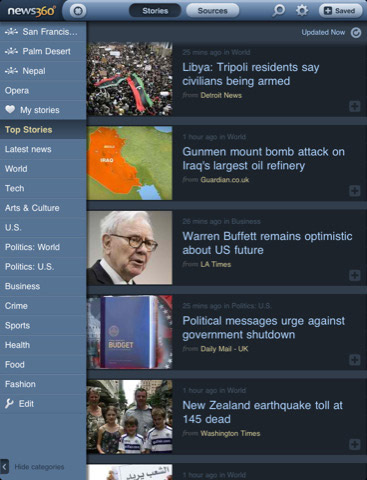 In portrait mode it gives a lot flexibility to configure news sources with the touch of a single button. One soft button gives all the local news making use of the current location information and local media! You can configure to have your own favorites news sources too. This is the best apps for Newsjunkies. This Apple application is for music lovers who want to play any musical instrument without really owning one. Those familiar with its original Mac version will be more thrilled to see this .It gives almost a real world experience. For a guitar, you tap on the display to play individual notes, strum chords, or bend notes; you can even touch the strings in two places at the same time to mute. The intensity at which you strike the notes and chords affects the volume of the sound, like on a real guitar. 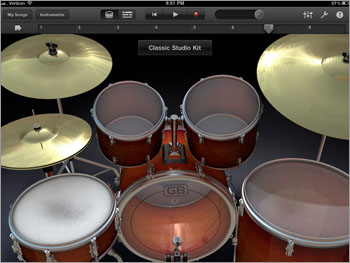 There's also an on-screen piano and drum kit, which offer similar features and controls. Overall you will be really impressed with the sound quality too. 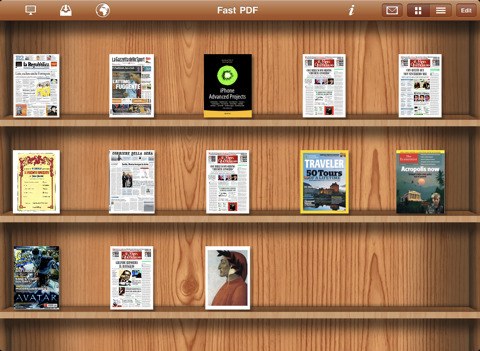 iPad is a great eBook reader too. You can read both epub (native format) and pdf files in color in iPad unlike Kindle. 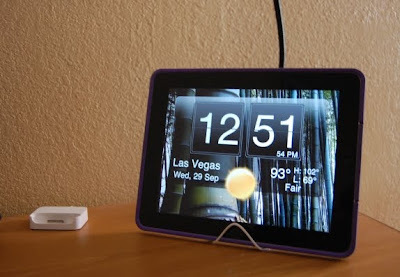 Its bright LCD display is a boon to people who are in their late 40s or older since its brightness is easy on the eyes unlike e-ink display in Kindle. Recently a study report from a renowned Ophthalmologists in the US, states that there is no evidence to prove that e-ink is better than LCD display for long duration of reading , unlike what the eBook industry wanted us to believe! iPad's built in eBook reader iBook is excellent but it has a few limitations. 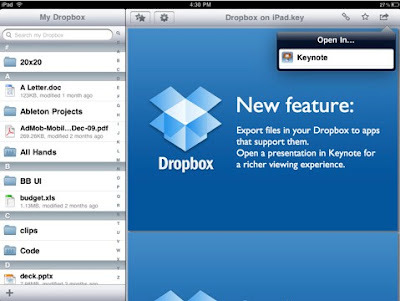 You cannot create folders to segregate books or transfer a book without connecting to iTunes. FastPdf+ addresses these two limitations for pdf files. It can import any pdf books from your PC through Wi-Fi and a browser, it can download books directly from any URL and create any number of folders which appear as trays arranged in the shelf as shown in the figure. If you are a movie lover this is a must have application for your iPad. It can access more than 1.5M movie and TV database with information on 3 million actors and actresses, directors and crew members. It is amazing to see the entire menu change, to bring up all the related information you are reading. 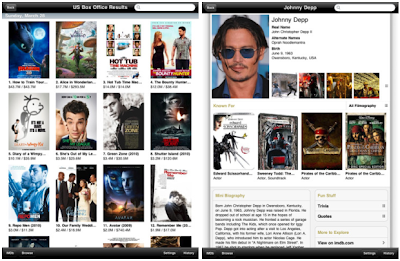 Users can also use the app to watch movie trailers in HD, find localized movie show times in the United States, browse photo galleries and shop for DVD and Blu-ray releases. 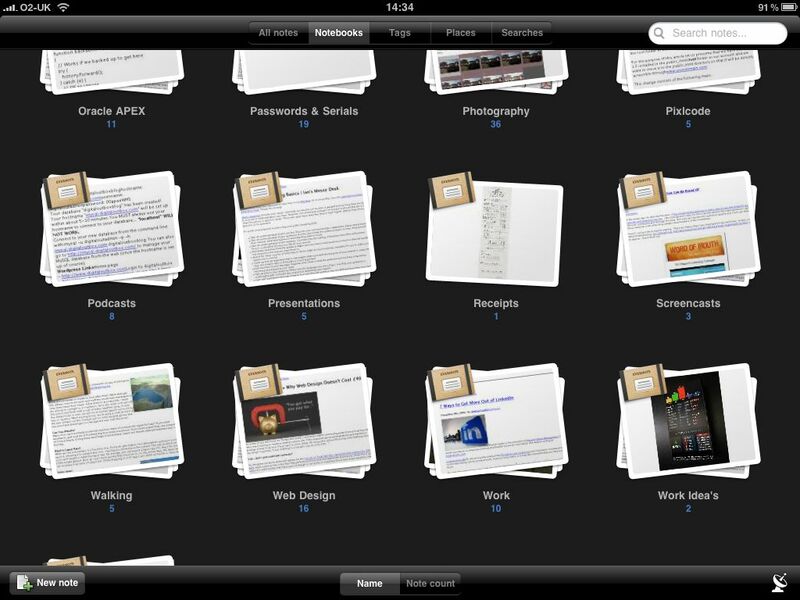 These are educational titles and may be the largest application (1.8GB and 850MB) showcasing the capabilities of iPad. The elements present the periodic table where you can touch and feel each element and the more you play with the crystal, the more information it brings out. 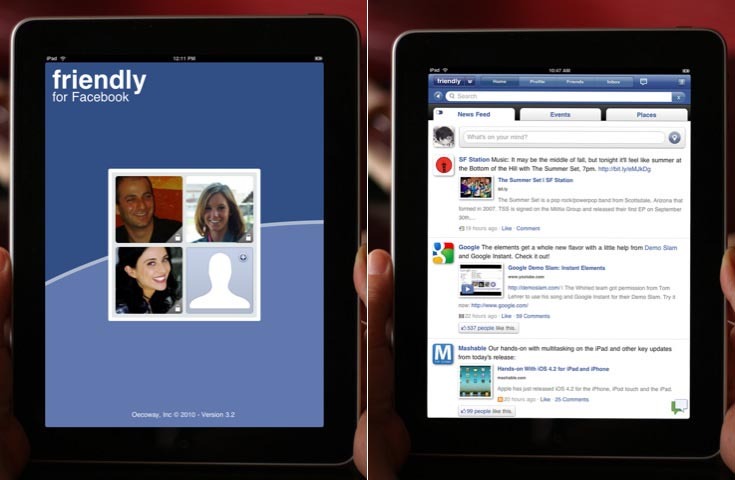 Steve used these apps to demonstrate the capabilities of original iPad at its launch. 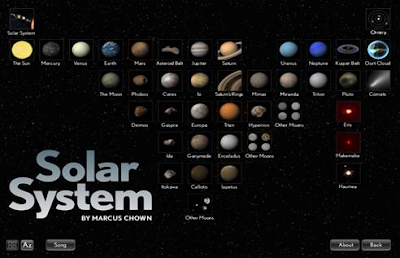 The solar system apps give the same kind of experience about solar system. All the planets and their satellites are given in detail and even allow you to play God, you can spin each one at your will at your own pace. In the process you learn a lot about their planets and their satellites. Both are fun to use and I am sure that you and your kids will enjoy learning chemistry and Astronomy. Wikipanion is for accessing Wikipedia and formatting it for iPad and iPhone. 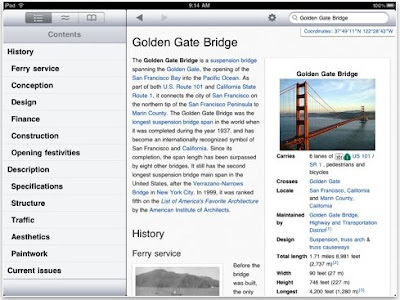 Discovery and Article are separate applications to access Wikipedia and presenting it in more attractive form in iPad. So these are must have applications to give all information at your fingertips. 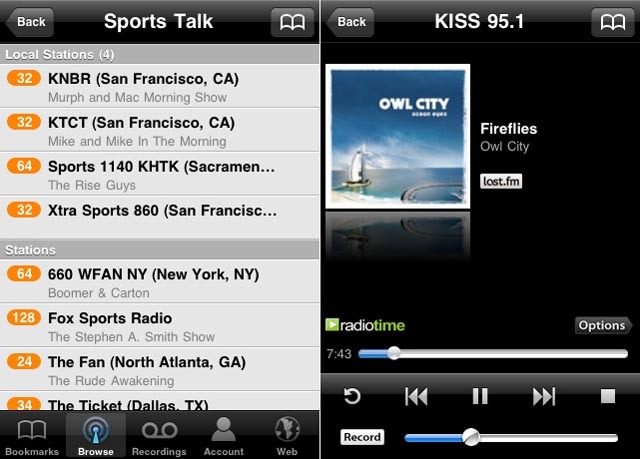 This app is for Radio lovers. This brings 30000 FM and AM stations around the Globe, local to you no matter how far your home may be. The built-in iPad Air print supports only very few wireless printers and your printer is not in the list, do not rush to buy one which supports it. You can install Print central and make almost any Wi-Fi printer compatible with Airprint. iPad's lack of USB port is a deal breaker for many. But you can easily solve this by Dropbox which is a free app to store your files in net and access from anywhere anytime and using any device :) So do not allow the lack of USB port limit you anyway. You need to be futuristic :) Apple is expected to announce free MobileMe service in April '11, uplift us to Apple's version of cloud computing. So we may never be encouraged to even think of USB storage again! It is note taking and archiving application. A "note" can be a text, a full webpage or webpage excerpt, a photograph, a voice memo, or a handwritten note. Notes can also have file attachments. Notes can then be sorted into folders, tagged, annotated, edited, given comments, and searched. A great application for all of us and with Evernote no excuse for forgetting anything. 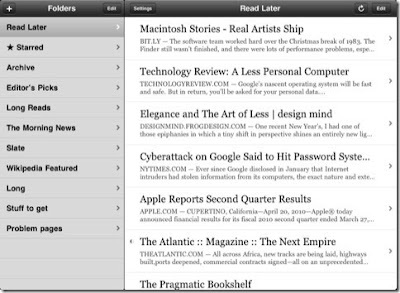 You can always postpone reading an interesting webpage by clicking read later button on your browser and Instapaper will save it (in their website) for you. Visit their website later you have time to read all those. 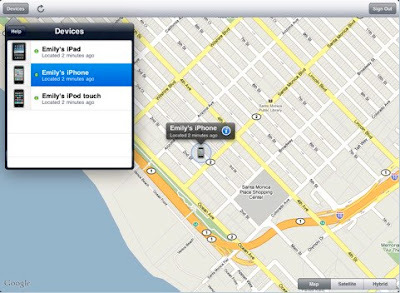 Never lose your iPad, even if it is robbed, you are in control and you can track him to his rat hole and wipe him out, (sorry your data) and it is free! Facebook never released its official apps for iPad, you need to content with Friendly best among the “me too apps list”, not a great apps. 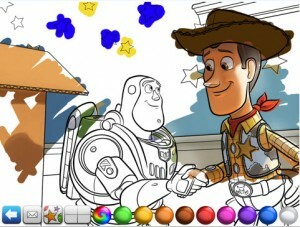 To amuse your kids with iPad, and in the process you may get amused too! Both apps are for setting Alarms in style and wake you up with more information about today's weather than you care, touch the screen it tells the time. Both are great apps if you are a music lover, it can even recognize the song you are trying to sing. Old family game but in iPad style, great implementation and you can even use your iPhone and iPod Touch as Tile Rack using either Bluetooth or Wi-Fi. Nice family game to show off if you are travelling by train! This is the best way to tell great stories to your children, it even reads the story for them and put them to sleep, something which you thought only your wife can do! 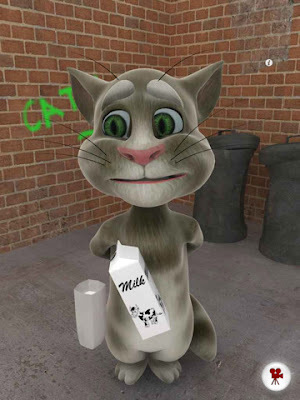 There are many other “read along” stories available for iPad, most of them are great implementation. Ex: Jack and the Beanstalk Children's Interactive Storybook, Alice in Wonderland etc. 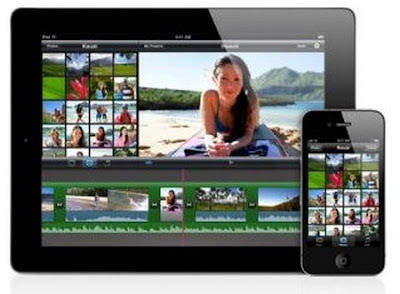 The great Mac application for editing movies comes to your iPad. The easy-to-use app makes good use of the tablet's touch-screen interface, and lets you clip, add photos, music, themes, and more to the video you capture right on the iPad 2. 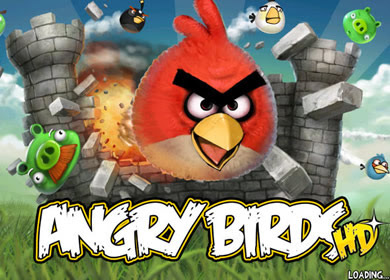 A must have application for us with built-in pronunciations! Daily it adds one excellent photo to your collection. Free apps for South Indian Cinema lovers, online magazine with all the gossips you like to hear about your favorite stars! 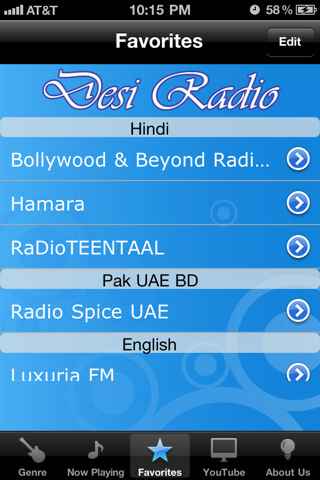 There may be other apps for Bollywood movies, I am not sure. There are other essential apps like Bangalore City Transit giving all the bus numbers and routes with maps. Radio Taxi for booking Meru or Easy cab for Bangalore, Hyderabad, Delhi and Chennai . These are iPhone apps but works in iPad too. I have not mentioned many outstanding apps which use camera features of iPad 2 since most of them are already available in iPhone now and it needs a separate discussion. With iPhone 4 you have a scanner (Jonet Pro), barcode reader (RedLaser), translator (Google Translate, Talk to your phone in English and it talks back in Hindi! 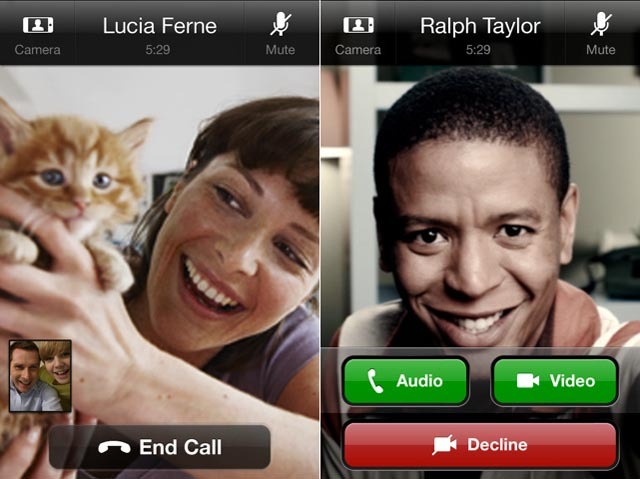 ), and it even dial the printed number by pointing its camera to it. 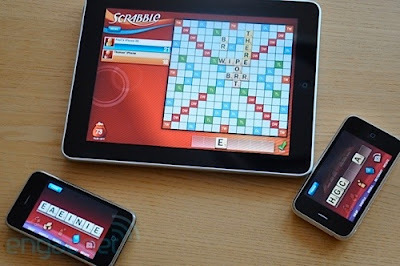 Do you really need a 3G iPad or iPad with Wi-Fi is sufficient? If you are not a very frequent traveller who carries iPad with you everywhere, you may not need 3G and can save $100/- What you lack in Wi-Fi iPad is 3G and GPS. With Personal Hotspot implemented in iOS 4.3 your iPhone 4 can act as a 3G to Wi-Fi router and you can connect your Wi-Fi iPad or laptop to it for browsing, up to 5 devices. But please remember that Hotspot will drain your iPhone battery faster than you like. Personal hotspot implementation even passes the GPS information to your iPad so navigation is also not an issue. So saving a $100 is not a bad idea if you carry along your iPad not very frequently. iPhone 3GS will support tethering only through Bluetooth whereas iPhone 4 supports both Wi-Fi and Bluetooth tethering . Apart from iPhone almost all other smart phones also give personal hotspot functionality. Personal Hotspot software is available for all Nokia phones, and Windows 7 phones. It cost under Rs. 600/- for premium version. Visit http://www.joikuspot.com/ for more details.